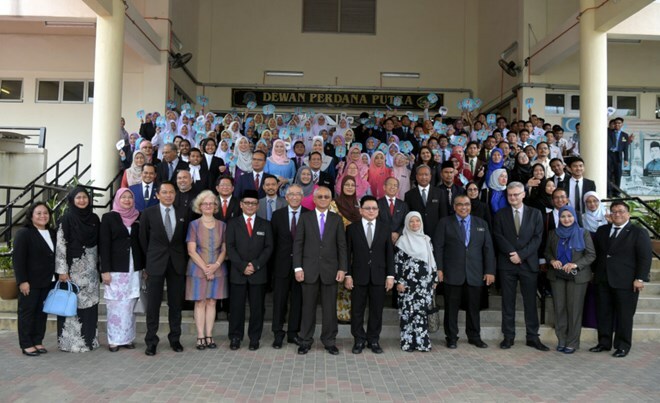 Kuala Lumpur (VNA) — Malaysian secondary school students now have access to knowledge on the local legislative system via the ‘From Courtroom to Classroom’ (MYC2C) programme. The programme, co-organised by the Malaysian Federal Court and the Education Ministry, aims to spread legislative understanding among students, give the group an early exposure to the laws, and teach them to respect the law. Speaking at the launch of the MYC2C on April 8, Chief Justice Tan Sri Richard Malanjum said similar programmes had been introduced in countries like the US, Britain and the Philippines. He said it is too late if the students only reach the knowledge in law faculties, adding that education on the justice system should begin at schools. Malanjum said he hoped the programme would benefit youths, reducing drug dependency and bullying cases at schools. The MYC2C now allows students to visit courts. Judges will be sent to schools and young lawyers will join the programme starting June 1.